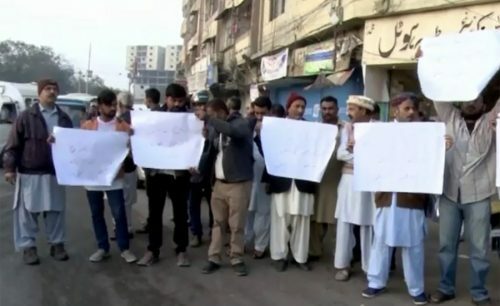 KARACHI (92 News) – Drivers continued their strike in protest against crackdown against gas cylinder-fitted vans on Thursday. Owing to the strike, a majority of students could not reach their schools. Parents themselves had to take their children to schools. The protesting drivers also took out a rally from Lucky Star to Karachi Press Club. The protesters said that they could not ply petrol vehicles in the inflation, demanding an end to the crackdown. On the other hand, traffic police will continue the crackdown against the vehicles fitted with gas cylinders.